Haringey Law Centre can assist people with their welfare benefits problems. 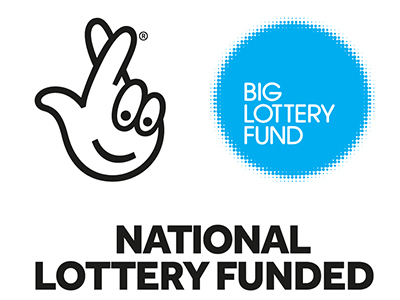 I have received a letter saying my benefit has stopped – what can I do? I have been asked to attend a medical by the DWP – what advice can you give? I have been told I am fit to work – What can I do? I have been told I have been paid too much benefit in the past. Do I have to pay it back? My application for the Personal Independence Payment/Disability Living Allowance/Employment and Support Allowance has been refused. How can I appeal? My child is sick. Is there any financial help I can get? 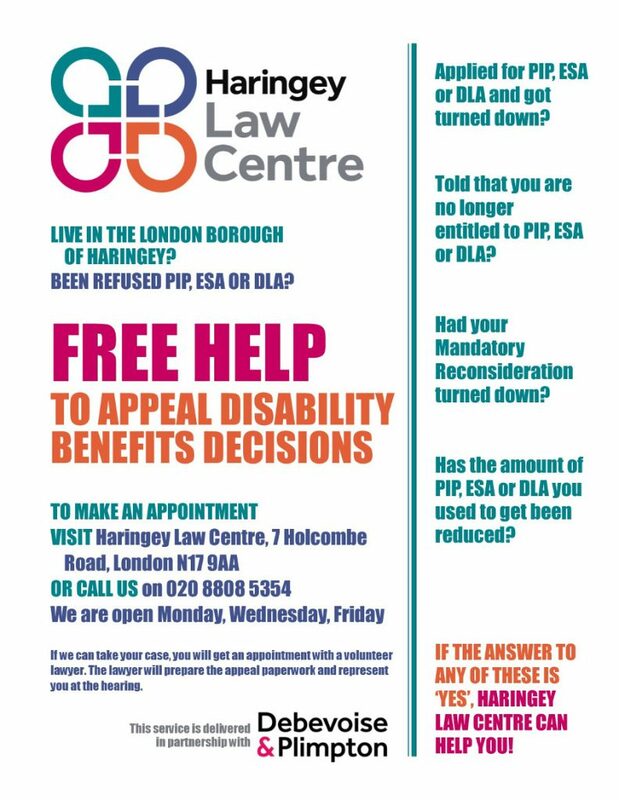 Thanks to Debevoise and Plimpton LLP, Haringey Law Centre began providing a dedicated disability benefits appeals service in the spring of 2017. Haringey residents who need help to challenge a Personal Independence Payment (PIP), Employment and Support Allowance (ESA) or Disability Living Allowance (DLA) decision can now bring their case to the Law Centre and be assisted by Debevoise and Plimpton volunteer lawyers to prepare for their tribunal hearing. The volunteer lawyers will also represent people at their tribunal hearings. Please see the flyer below with more information, which you can also download and print off.